New Delhi: Highlighting the achievements of the Narendra Modi government, Finance Minister Arun Jaitley on Tuesday said Indians need a “decisive leadership” to help economic growth and not “an unworkable alliance with maverick leadership”. Noting that India with a 7 to 7.5 per cent growth rate is the fastest-growing major economy in the world and the government is trying to break the 8 per cent barrier, Jaitley in a Facebook post said it is an indication of what social profile, purchasing power and quality of life Indians are going to have in the decades to come. “To ensure that this happens as projected, it is a pre-requisite that India has a decisive leadership, consistency in policy direction and a strong and stable government. An unworkable alliance with maverick leadership whose longevity is a suspect can never achieve this,” he said. In his post, “Political stability, Decisive Leadership and a Clear Mandate – Their Relationship with Growth”, Jaitley said the Ease of Doing Business rankings for five years have improved from 142nd to 77th position, and India is now aiming to be in the first 50. “Who should be India’s Prime Minister, if India were to achieve this? Should he/ she be constrained by his/ her rival aspirants who have reluctantly supported him/ her out of mere dislike for a common opponent, or does India need a Prime Minister with a clear mandate as in 2014? Only such a Prime Minister can deliver growth and satisfy the nation’s aspirations,” he said. The Minister said the average GDP growth rate of 7.3 per cent during the five years of Prime Minister Modi is on a much larger base than that of his predecessors. The higher growth rate on a larger base has a multiplier effect, he said. “When Prime Minister Modi came to power, India was the 10th-largest economy in GDP terms in the world. Presently, the fifth, sixth and seventh economies, namely United Kingdom, France and India, are within a very narrow range. “A marginal fluctuation of currency values alters the size of the economies. India, of course, is projected to grow next year at 7.5%. This will conclusively ensure that India, at the end of the next financial year, could possibly be the fifth-largest economy in the world,” he said. 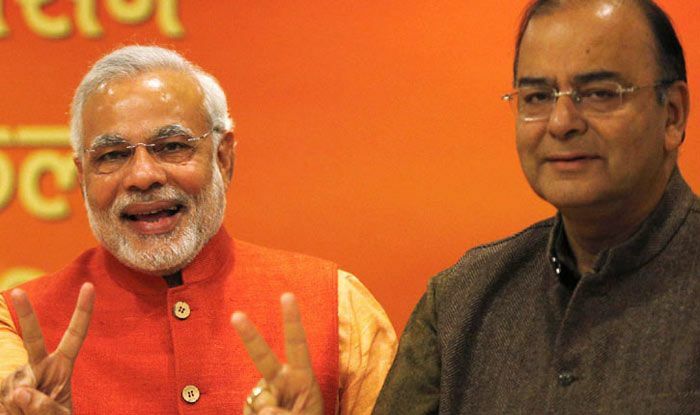 Jaitley also said the McKinsey Institute reported that the size of India’s middle-class is growing very fast, from 14 per cent in 2005 to 29 per cent in 2015. It is estimated to go all the way to 44 per cent in 2025. With the kind of transfer of resources to rural India which have been made in the past five years, a huge aspirational class is emerging even in the rural areas, he added.